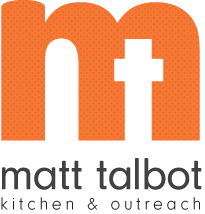 Matt Talbot Kitchen & Outreach provides a wide variety of services to meet different levels of need and embolden people to have hope. Meals are available every day. Hot nutritious meals are offered every day from 11:30 am - 12:30 pm and 5:30 - 6:30 pm. All are welcome. Outreach staff are available during meals times Monday - Friday to assist with basic needs and provide information and referral. Occasional food pantries are available to individuals and families who need food to take home. Individuals and families are eligible for a food pantry once every four months. Matt Talbot has a Registered Dietitian on staff who is available for consultations, medical nutrition therapy, and presentations. Nursing and Physician Assistant students from Union College provide adult foot care, including soaking feet and trimming toenails. Individuals receive free socks and are eligible for free shoes every six months. A nurse from Clinic with a Heart comes the 3rd Wednesday of each month during lunch to provide screenings such as blood pressure & blood sugar checks and vision screenings. Referrals are made to help individuals obtain a medical home. Mailing Address and on site Message Services for those who are homeless. Mail pick up times are M - F: 11 am – 1 pm and 5 - 6:30 pm, or by scheduled appointment. Messages are posted on the message board in the dining room. The Homeless Identification Program assists people who are homeless obtain vital identification documents like a drivers license or birth certificate. A letter on agency letterhead from a case worker stating that the homeless individual is working on life goals is required. Must be homeless without income. Contact an outreach specialist, M - F: 11 am – 1 pm and 5 - 6:30 pm, or call to schedule an appointment. This is a once in a lifetime assistance. Four-week series of classes held on Wednesday evenings. Topics covered are: Employment, Parenting, How to be a Good Tenant and Budgeting. Each student needs a referral from case worker and to have previously been or currently be homeless. Child care and transportation are offered. SNAP Outreach Workers from the Food Bank of Lincoln are at Matt Talbot every Monday, Wednesday and Friday from 10:30 am – 1 pm (except for the 3rd Wednesday) to help individuals obtain Food Stamps. Showers and Laundry Services are available for people that are experiencing homelessness Monday – Friday. Individuals must meet with outreach staff before using the services for the first time. Provided by Paul Mitchell The School. Housing opportunities are available for homeless individuals and families who meet certain eligibility guidelines. Available on the first business day of the month. Must have proof of insurance, a valid driver’s license, and current automobile registration. Individuals can receive one voucher every 6 months. Alcohol & Drug Education Classes and Substance Use Evaluations and Counseling Services are available through the CARE Program. AA Meetings are held on Tuesdays from 5 - 6 pm. Attendees are welcome to stay for dinner which is served until 6:30 pm. The SOAR Program provides assistance with disability applications for those with mental health and/or substance abuse concerns. A SOAR outreach worker from CenterPointe is at Matt Talbot on the first Thursday of the month from 11 am - 12:30 pm.